Home / lte sim / smart / vivo / vivo smartphone / Vivo forged partnership with Smart, providing FREE LTE Sim. Vivo forged partnership with Smart, providing FREE LTE Sim. 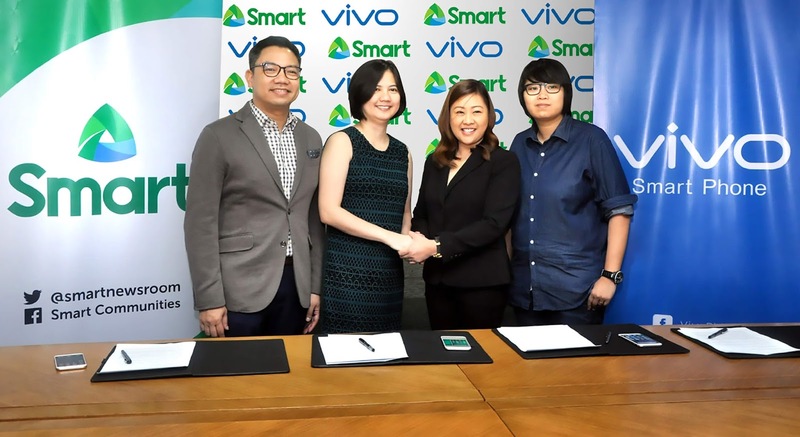 Vivo Mobile Tech Inc., linked a partnership with Smart Communications, Inc., last March 22 at the PLDT Ramon Cojuangco Building in Makati City. As part of our aggressive roll-out of Smart LTE network across the country, they are excited to work with top smartphone manufacturers, Vivo to bring more LTE-capable devices into the local market. As LTE gives the best mobile data experience to their consumers, and having LTE devices in the market means more people will be able to take advantage of and enjoy the powerful LTE network that Smart is putting in place. “With this tie-up, our customers will be able to make improved connections, whether on the web or with each other, because Smart has always been known for its premium service.” - Hazel Bascon, Vivo PH Vice President. reward of an additional 300MB data for every accumulated P150 worth of load within a month. The Smart LTE prepaid SIMs will be given to customers for free, for every purchase of Vivo handsets, with specific units to be announced soon. For more info about Vivo newest products, visit facebook.com/VivoPhil.